The new study challenge for the next two weeks is to draw or paint skulls, both human and animal. 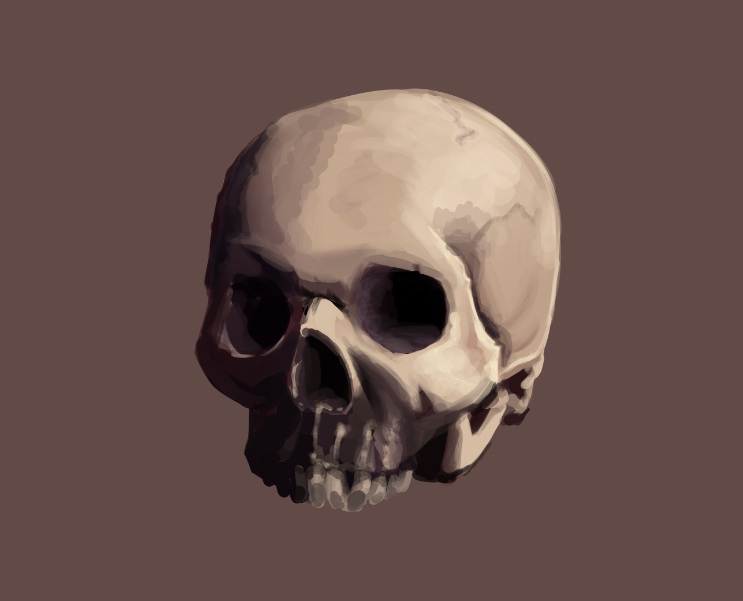 As fantasy artists we are inevitably going to find ourselves drawing or painting skulls on multiple occasions. In addition to this, understanding the skull can give a lot of insight into the structure of the head. Understanding how the skull influences the structure of the head can also help with creating creatures from your imagination in a more informed way. Find photos of skulls that you would like to study, and draw or paint them depending on what you're looking to get out of the study. -This a skull (human or animal) study challenge. -Due before Sam's stream on Monday, June 25th. Sorry for the bad image quality, well I never was good at taking pictures. New around these parts. I've been lacking in the studying department lately so this was nice to do with some of the regular work for a change.